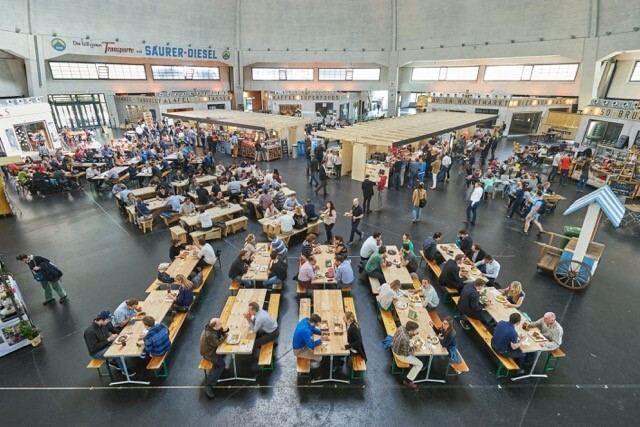 In the “Markthalle Basel” is a lively and colorful activity. The historical location has recently been newly revived and it is the top address for great food and cultural events now. 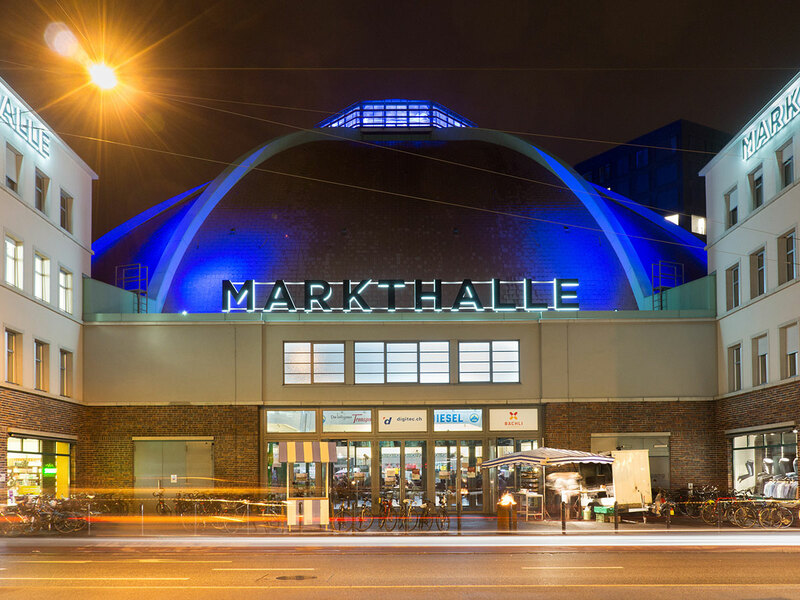 Whether young or old, the numerous events from the “Kindermarkthalle” to concerts up to street food Saturdays are something for everyone. 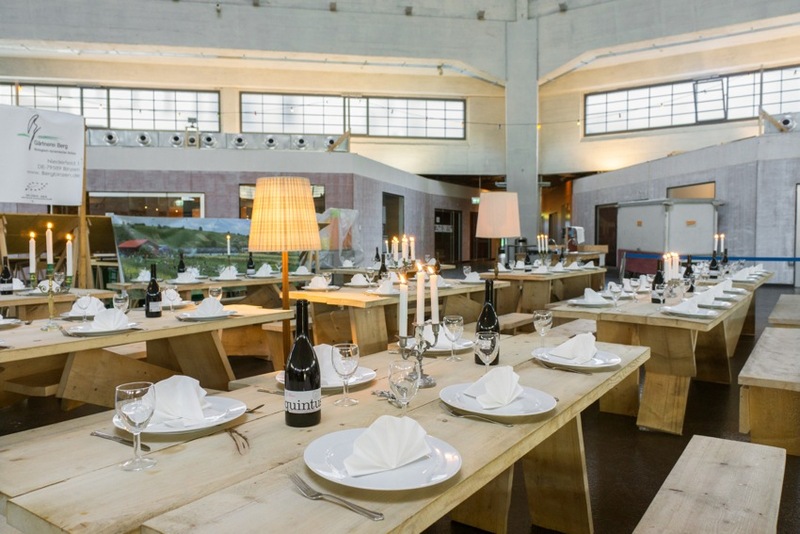 In Basel’s largest dome building, you can benefit from many services and offers or simply realize your own celebration. Several rooms inside and outside of the venue are available for private and business events. Internal and external catering in form of nibbles to market stalls can be organized. The popular event location offers suitable rooms for small and large groups. Choose between a celebration under the dome, in one of the halls and rooms or make use of the rental kitchen with a comfortable seating area. The equipment can be adapted to your event so that you will find a podium or concert technique on-site. 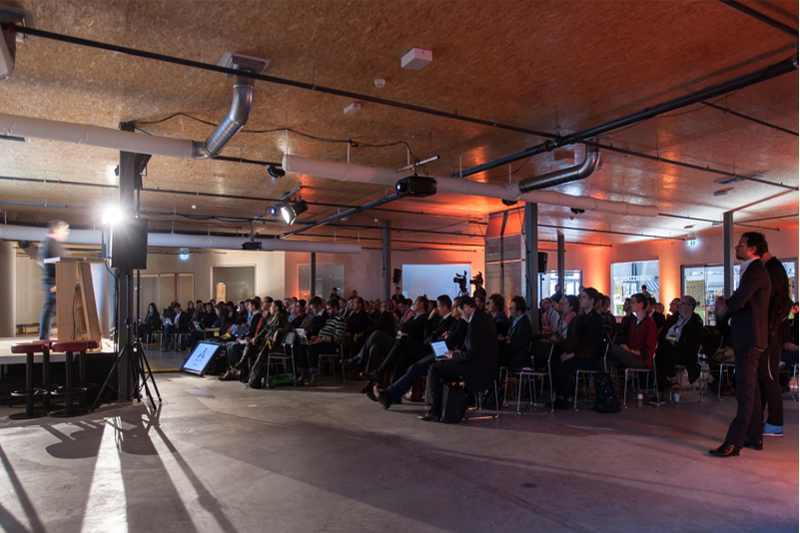 The historical dome hall (1050m²), two meeting rooms (230m² and 480m²) as well as various conference rooms (80-120m²) are available for your business meetings. If you would like to realize your meeting unconventionally, the kitchenette is a comfortable alternative to the traditional conference room. In the rental kitchen, your team can create own culinary delicacies or be spoiled by a professional chef while developing new ideas at the kitchen table. 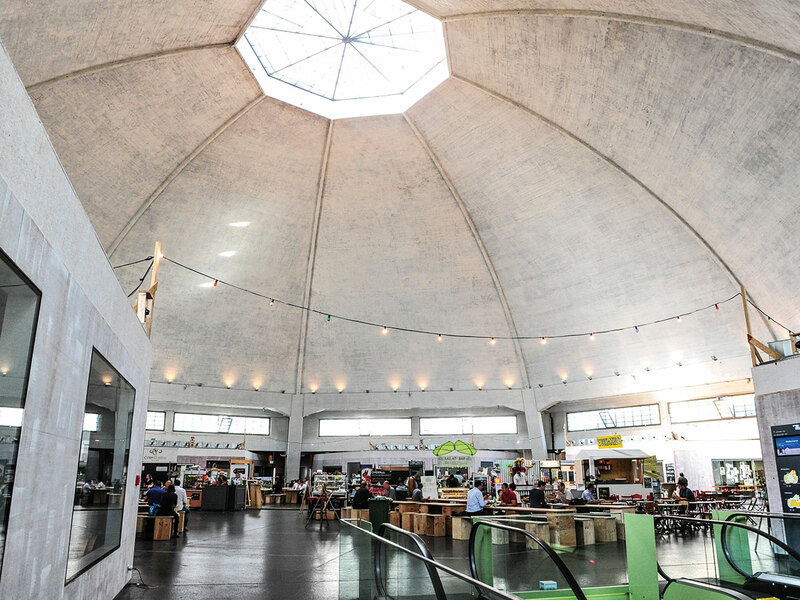 In addition to catering and the best infrastructure, the market hall also offers other possibilities for companies to present themselves. Maybe you are planning a promotion or want to open a market stall? Just talk to the team of the market hall! The historical dome hall with its 1.050m² is particularly suitable for the celebrations of the most beautiful day in your life. In a convivial atmosphere, you can place your wedding guests in various seating arrangements and dine festively before you shake a leg. 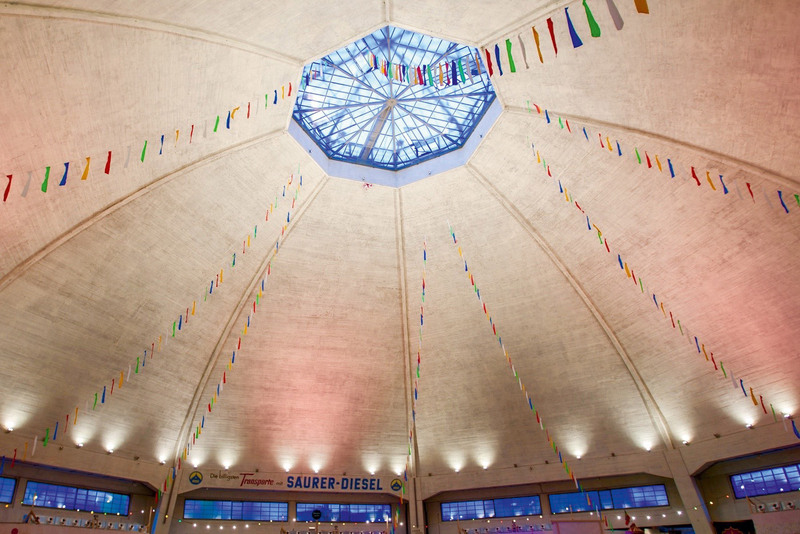 As an accompanying program, your guests can be guided through the historical market hall. The Markthallen Inc. takes care of all the services related to your event. They are the best contact for planning and implementing your event as well as answering all detailed questions regarding the backdrop and furnishing of the hall. The experienced team will be pleased to meet your individual needs and looks forward to your request! 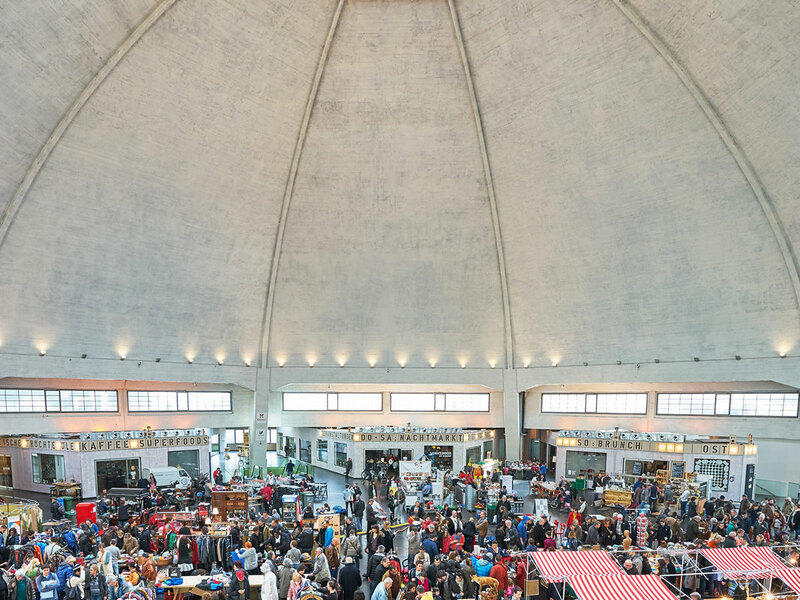 Thanks to the central location at the SBB train station and the large parking space nearby, you guests can easily reach the market hall on all transport routes.